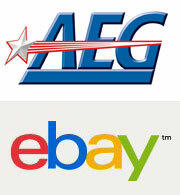 eBay Inc. and AEG have announced a global partnership that will involve venue sponsorships and technology integrations. Multiple eBay digital properties and AEG venues will be included in the multi-year agreement aimed at improving live event experience for fans worldwide. Beginning in Q1 of 2013, eBay’s StubHub ticket resale property will becoming the exclusive secondary ticketing outlet for AEG venues and its AXS Ticketing platform. StubHub will also be the official Secondary Partner of the Staples Center, the LA Kings, and the LA Galaxy starting with the 2013-2014 seasons. Additionally, PayPal will become one of AXS Ticketing’s new payment methods, and AEG’s BandMerch will be available in the eBay marketplace.